Home/Recent-events, Uncategorized/Are you, or do you want to become one of the worlds leading Air Plasma Physicist? 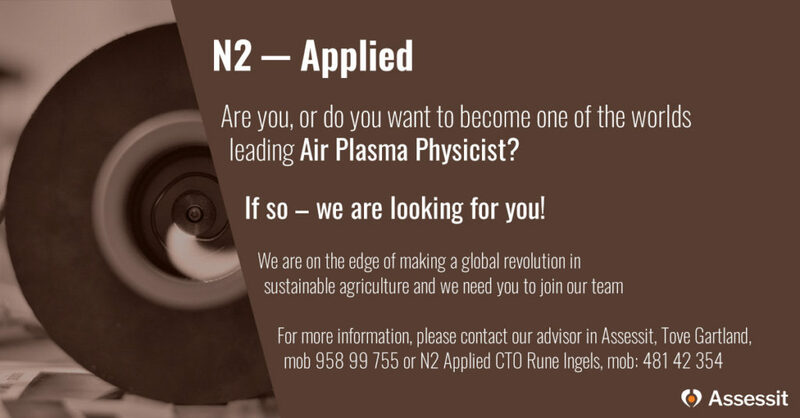 Are you, or do you want to become one of the worlds leading Air Plasma Physicist? Do you want to be part of our team and commercialize disruptive technology? We are looking for highly skilled and diligent Principal Engineer – for the N2 Applied R&D team to further improve our air plasma technology for NOx production. You will be part of an ambitious R&D team which work internationally with university partners and plasma equipment providers. Click here for more information or application.